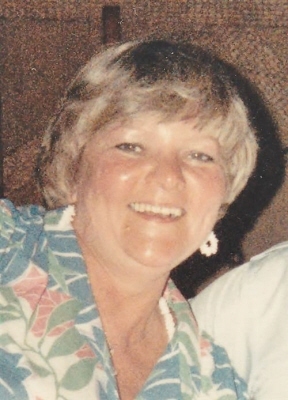 BEVERLY-Frances D. (Lawnsby) Winslow, age 83, passed away after a long illness on October 13, 2018 surrounded by her family and friends. She was the beloved wife of Donald C. Winslow, with whom she shared 60 years of marriage. Born in Beverly, and raised in Salem, she was the daughter of the late James and Mary (MacDougal) Lawnsby. Fran graduated Salem High School class of 1952 as Valedictorian and Salem State College Class of 1956 as class Salutorian. She taught elementary school in Danvers before raising a family in Beverly, teaching Sunday school and leading Girl Scouts. She became the bookkeeper for the family business, Don Winslow’s Auto Body in Danvers. She was a very social and active person involved with many organizations including the League of Women Voters, MassPirg, the Women’s Club of Beverly and the Cove Community Center. Fran enjoyed spending time with her family and friends, who will remember her laughter and enjoyment of music and dancing. She was a loving wife, mother, grandmother, aunt, sister and friend who will be missed by all who knew her. Surviving her, in addition to her husband Don, are two daughters Debra M. Winslow of Waltham, and Pamela J. (Winslow) Roscoe and her husband Alan of Rowley; a son, Donald C. Winslow, Jr. and his wife Susan of Georgetown; a brother, Thomas Lawnsby and his wife Evalyn of Hamilton; two granddaughters, Mia and Margaret (Mei Mei) Winslow, as well as several nieces and nephews. She was predeceased by brothers James and Richard Lawnsby of Salem, William of Peabody, and a sister, Mary (Lawnsby) Morrissey from New Hampshire. Her funeral service will be held at the Campbell Funeral Home, 525 Cabot Street, Beverly, Saturday, October 20, 2018 at 11 a.m. Relatives and friends are invited to attend. Visiting hours will be held prior to the service from 9:30 to 11 a.m. Burial will be held at the North Beverly Cemetery. Contributions may be made in her name to the Alzheimer’s Association, 309 Waverley Oaks Rd, Waltham, MA 02452 or Care Dimensions 75 Sylvan Street, B-102 Danvers, MA 01923. Information, directions, condolences at: www.campbellfuneral.com . To send flowers or a remembrance gift to the family of Frances D. Winslow, please visit our Tribute Store. "Email Address" would like to share the life celebration of Frances D. Winslow. Click on the "link" to go to share a favorite memory or leave a condolence message for the family.